The Biggest Parenting Event is held every year in CCF (Christ Commission Fellowship). This year an offshoot of that event will happen in General Santos City on Nov 7, 2015. This will be a Seminar to help families know how to develop the core family values of love, discipline, and godly legacy. The speakers are Peter Tanchi and wife, Deonna. They have raised 5 wonderful and successful children and passing on this godly legacy even to their grand children. Their advocacy is for parents to raise successful children despite the challenges they are facing in this world. 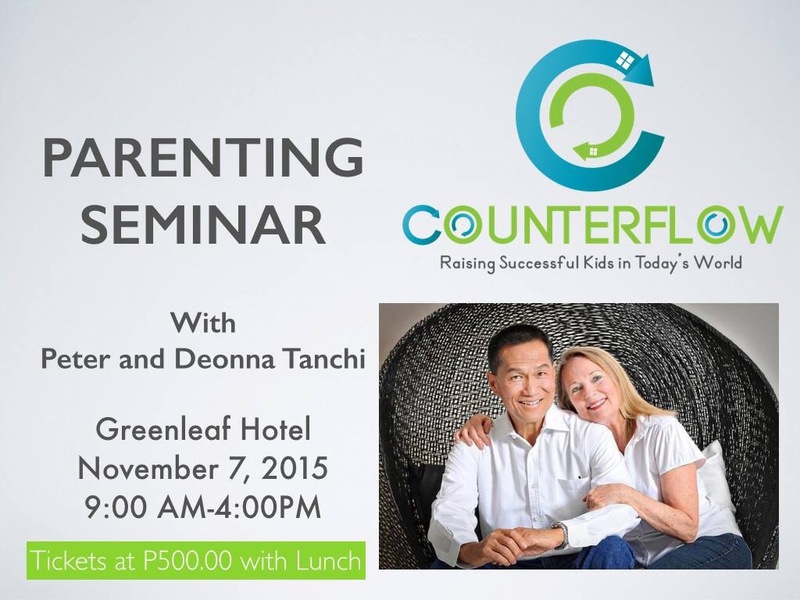 The event will be on Nov 7 at Greenleaf Hotel from 9AM- 4PM. Tickets are at P500 with buffet lunch. 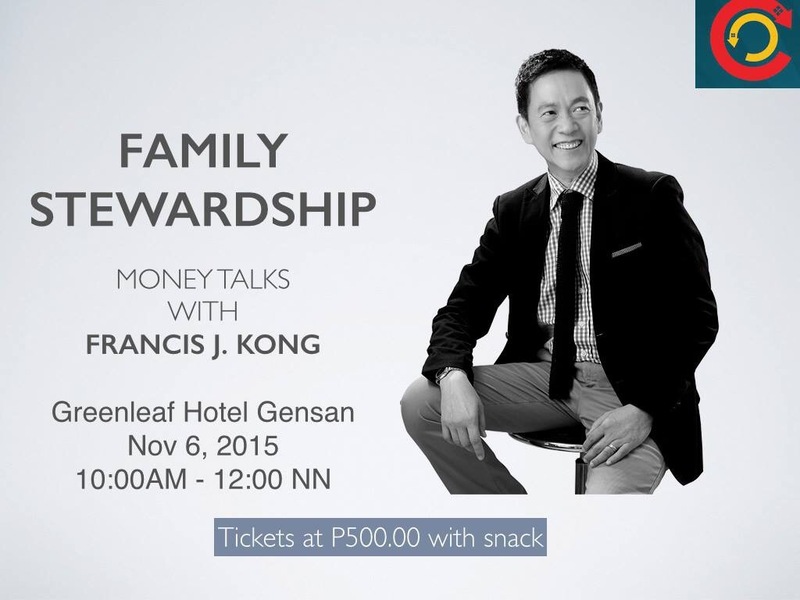 Another interesting seminar that families should catch is the one by Francis Kong this Nov 6, 2015. Families have to talk about values on money and wealth. For another investment of P500 (inclusive of snack), this seminar might save your family heartaches brought about by money quarrels. There is so much wisdom we can learn from this Family Stewardship with Francis Kong. Tickets are now available at Go Sarangani Travel – call (083) 552-8015 for more information.